Zuppe di pesce is Italian for fish soup. This recipe is a more simplified version of the normal one which includes clams, squid, and more types of fish. The name “fish soup” is also a misnomer since it’s not really a soup but more like a stew. 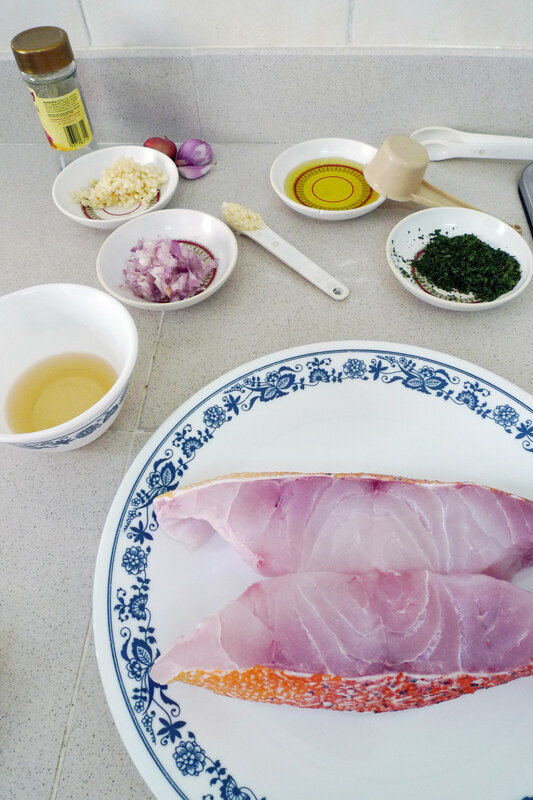 Below you can see the 2 red grouper steaks I will be using for the dish. 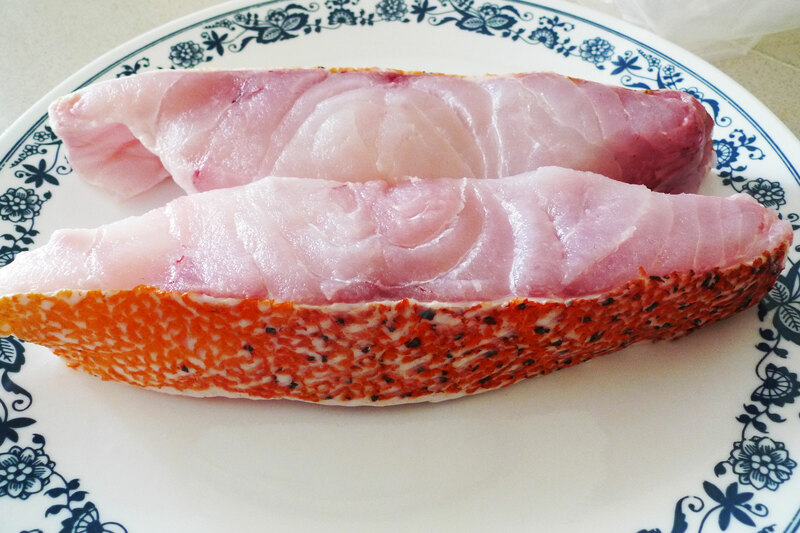 Oddly enough, Singaporeans commonly call this fish by its Portuguese name – garoupa. The rest of the ingredients: chopped garlic and onions, white wine, extra virgin olive oil, parsley and tomatoes (not pictured). Saute onions first until translucent, then saute the garlic so that it’s not over-burnt. 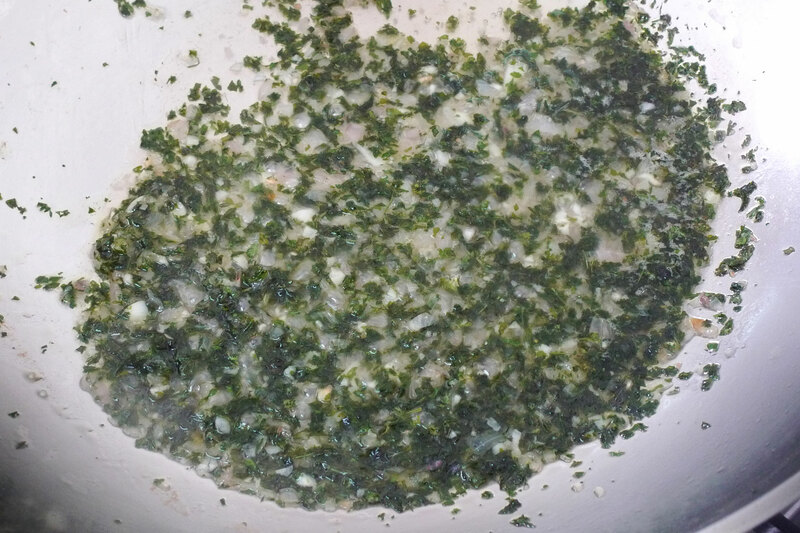 Next toss in all that parsley, stir it and then pour in the white wine to simmer for about a minute. 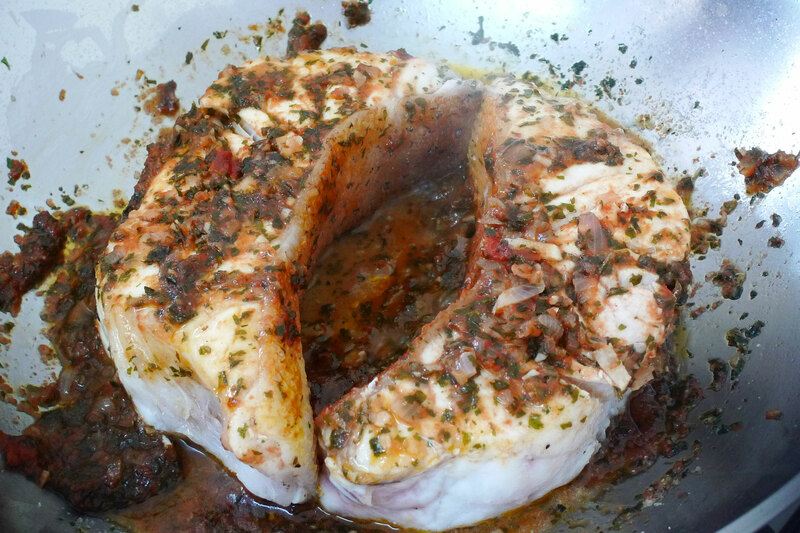 Next you add in the tomatoes to reduce on medium-low heat for about 15 mins before finally placing in the fish steaks. Grind some sea salt and black pepper on top liberally. Then cover the pan and let it cook in the sauce. Once you think it’s about halfway done, flip over the steaks and cover back the pan to resume cooking for the same period of time. 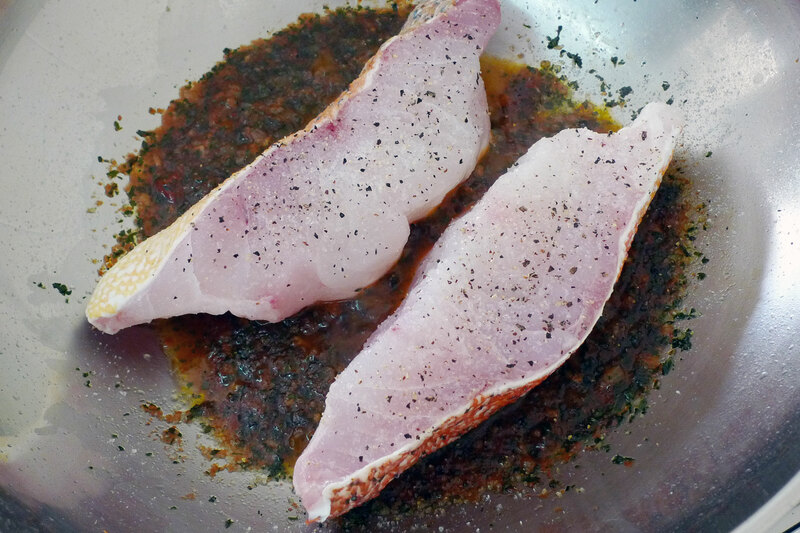 When it’s done, serve and pour the contents of the pan all over the fish. 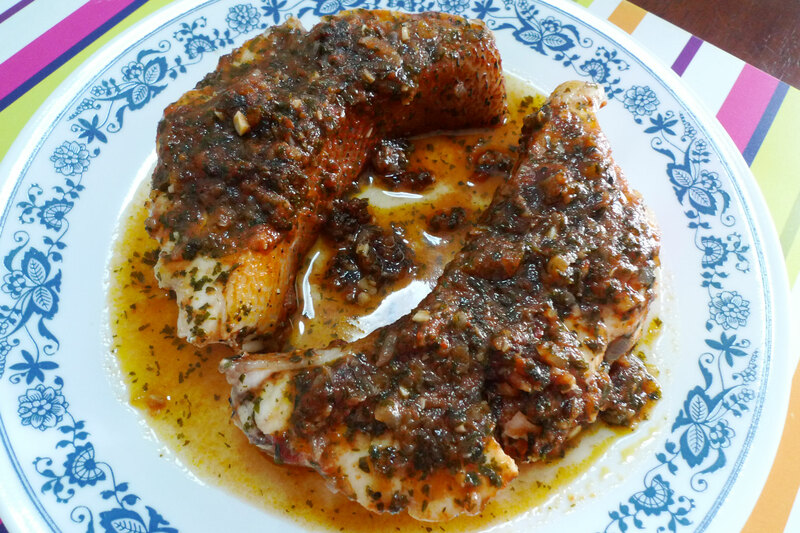 The flavours are really amazing with the tomato sauce combining with the white wine and parsley to bring out the sweet and spirited taste of the fish! 1 Response to "Zuppe di pesce"